The Rt. Rev. Ronald F. Shepherd, retired Bishop of BC, died on October 24th, 2012. 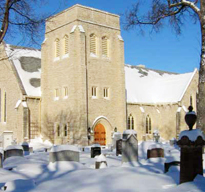 Some of you will remember Ron Shepherd, who served as Incumbent of All Saints, Winnipeg from 1959 – 1965. He is survived by his wife, Ann, and six children. Rest eternal grant to him, O Lord. And let light perpetual shine upon him.